Mostly teenage. Recent studies have shown that it may affect people of any age group. of these the part played by the cell phones is noteworthy. A) The most common presenting feature is throbbing pain in the heart often described by the patient as sweet pain. E) Disinterest in any type of work. There is a danger of patient being transformed into a poet. A) Very much dilated pupil (In search of his sweet heart). C) On Auscultation: The First Heart Sound is heard as LOVE instead of LUB. The Disease is gradual in onset. The patient presents with vague symptoms like loss of appetite, sleeplessness, etc., As time progress multi-organ system involvement occurs with varied symptoms. The symptoms are aggravated at the sight of patients sweetheart The sight of patients love causes the contraction of the radial fibres of the iris muscle leading to the dilation of the pupil. The eyes remain wide open and cease to blink. The Zygomaticus major muscle automatically contracts and the patient smiles (Smile at Sight Phenomenon). 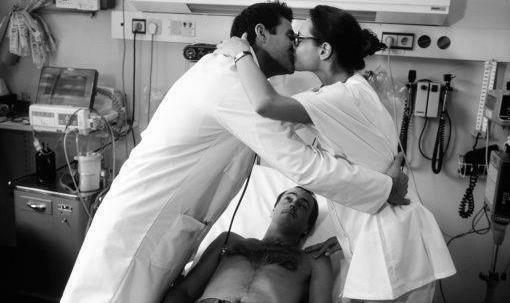 As the patient approaches his sweetheart action potentials are generated at an irregular rate in the heart and the normal rhythm of the heart is lost. Microscopic examination of the cardiac muscle reveals the presence of abnormal pacemaker tissue at certain areas called the ROMANTIC SPOTS that are responsible for the lost rhythm of the Heart. The patient feels agitated, and a throbbing pain develops in the heart. The characteristic feature of the pain that patient wants to feel it more and more. In advanced stages, the brain is affected. If not treated properly, the patient may go bad. Marriage Therapy holds promise of 100% cure rates. If is effective only after 22 years of age. If performed early, it may lead to adverse reactions. Several attempts have been made to prevent the disease. The WLO (World Love Organization) expert committee has finally declared that the disease is inevitable during the age group and its prevention is literally impossible. Any attempts to interrupt the normal course of the disease may lead to more severe from of disease. So interventional measures are highly contraindicated for this disease. 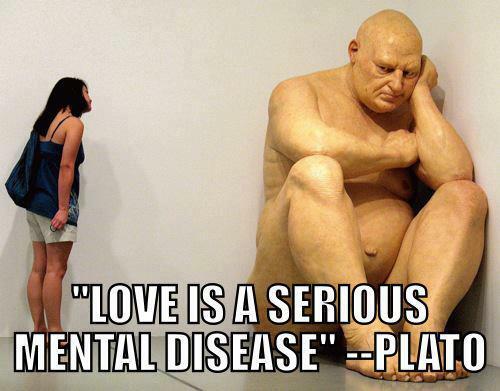 Complication of love syndrome is euphoria, financial crisis, idiotic look, loss of appetite and sleep. Acute romantic failure lead to suicidal tendency. Survival may have life long immunity.